Many couples have the same tastes as their counterparts, but what happens when their visions of the wedding day are different than the traditional? 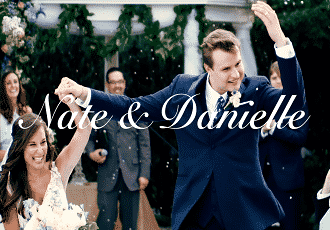 This day and age, there are many “Wedding Themes” that people are coming up with to make this memorable day stick out from “all the other weddings.” I did a little research and made a list of a few different themes that may strike your fancy! Believe it or not (or agree with it), superhero themes are BIG right now. Like Disney? Incorporate that theme into your wedding day. Everyone wants a story book wedding. This theme could go a long way, from the centerpieces all the way to the happily ever after wedding favor. One wedding I attended actually had the rose from “The Beauty and The Beast” for each centerpiece surrounded with water. It was really cool! Do you like a starry night but don’t want to risk weather issues, bring the outdoors in! Personally, I love the outdoors. The only problem with an outdoor wedding (if you do not have an elegant tent for an option) is that Mother Nature may tend to, no pun intended, rain on your parade! Try something like “A Midsummer Night’s Dream.” Penn Oaks Golf Club has a great elegant tent for just the occasion! If all this modern wedding stuff is getting you down, go with an old school theme! 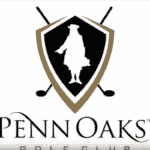 Penn Oaks Golf Club has seen many “Great Gatsby” weddings. It also helps to have an older venue so that you can really get into that “vintage” feel. Having a vintage theme is fun for this generation, and an amazing throwback for the older generations at your wedding. And regardless of what people say…they love dressing up for special occasions, and this will be a fun one to do just that! Follow the yellow brick road to your theme! A really cool idea for a them would be the Wizard of Oz! If you like the colors of emerald and gold, a great Emerald city them could easily be produced! Work with a theme off of your heritage. An Irish themed wedding could have shamrock decorations. An Italian themed wedding could have a cool gondola hors d’oeuvres table. The possibilities are endless. Pick your favorite movies and place them as mini themes around your wedding. For example, each table can have a different movie centerpiece, and the favors could be a movie ticket for an upcoming show! If you are interested in an outside wedding. “Garden Glam” could be the perfect theme. The ceremony could be in the middle of a garden setting, and then a tented reception to follow. Flowers can be used for so many situations in this theme! Not much to say about this! Ocean and sand colored table cloths, harbor and dock themes around certain areas, allow your guests to write a “message in a bottle” to you….this could be a lot of fun! 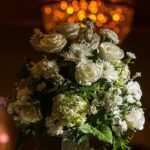 Whatever strikes your fancy, and if you would like to add a little more “memory” to your special day, hopefully we here at Penn Oaks gave you a few ideas for your wedding day. Good luck on your theme quests!